Biologist Kirah Foreman from Hol Chan Marine Reserve has officially released the 2011 turtle monitoring report to coincide with the commencement of the 2012 turtle nesting season in Belize. The report concentrates on nesting sites on Ambergris Caye that is specific to specie nesting on the island’s beaches. The two species that have been documented as being specific to nesting on Ambergris Caye is the loggerhead (Chleonia Caretta) and the green turtle (Chleonia Mydas). The report indicates that since monitoring started in 2009 the number of nest recorded has increased by 23 % in 2010 and remained stable with an increase of one nest in 2011. The beach monitoring was conducted from June to November in 2011 with the assistance of the staffs at Hol Chan and the Bacalar Chico Marine Reserves. Nesting efforts were concentrated in two main beach on northern Ambergris Caye which are Robles and Rocky Point beaches. However a very strange but not uncommon activity occurred in 2011. A total of four nests were confirmed in the Habanero beach area. Such occurrence strengthen the scientific theory that female turtles are known to return to nest on the beach that they were hatched on. Foreman explained that most of Ambergris Caye was a major nesting site but due to rapid coastal development, it has forced turtles to small beach areas. This has negatively impacted and added pressure to the already dwindling turtle population. According to the report a total of 43 nests were observed during the entire nesting season in 2011. Of those, 34 were found on Robles beach in an area that stretches up to 1,192 meters. Along Rocky Point nesting beach, 178 meters long, five nest were found and four in Habaneros area. The hatching and emergence success of turtles has increase since 2010 and according to the report hatching success is 56.8% while emergence success stands at 48.3%. 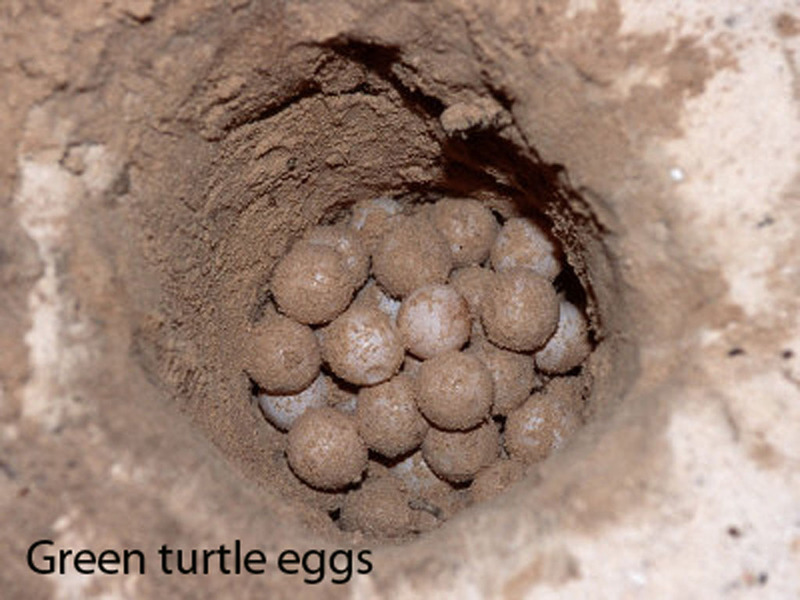 “The average clutch since has decreased overall but looking at the specie, loggerhead laid an average of 93.1eggs per clutch and green turtles 118.86 per clutch. Even though there was one more nest than 2010, the total number of eggs laid through the season went from 3,461 in 2010 to 2,496 in 2011,” the report cites. “Already for 2012, the turtle nesting season looks positive,” said Foreman having started earlier than normally expected. However it appears that two of the nests have signs of human poaching. Under the Laws of Belize, it is illegal to be in possession of turtle carcasses or eggs since turtles are considered endangered. But even as turtles land on northern Ambergris beaches to find the right nesting areas, the increase in human activities on the island’s northern beaches is becoming a growing concern. Resort and golf cart lights at night along the beach, as well as humans and pets (dogs) on the beach can scare away turtles from nesting. In addition, heavy traffic such as those of all- terrain vehicles and golf carts utilizing the beaches compact sand and break eggs, affecting catching and emergence of young turtles. In Belize nesting season for turtles run from mid May to late November. During the nesting and hatching season, residents are advised to be extremely careful and mindful of the endangered turtles and to refrain from tampering with turtles or and the turtle nests. Residents are being asked to report any citing of turtles on the beaches to the Hol Chan Marine Reserve at 226-2247 or 2262420. During the nesting season park rangers along with law enforcement agencies will conduct regular patrols and turtle monitoring along the beaches to collect data that are used to measure and analyze turtle populations in Belize. This is the fourth consecutive year that such monitoring and data collection has been conducted in San Pedro. 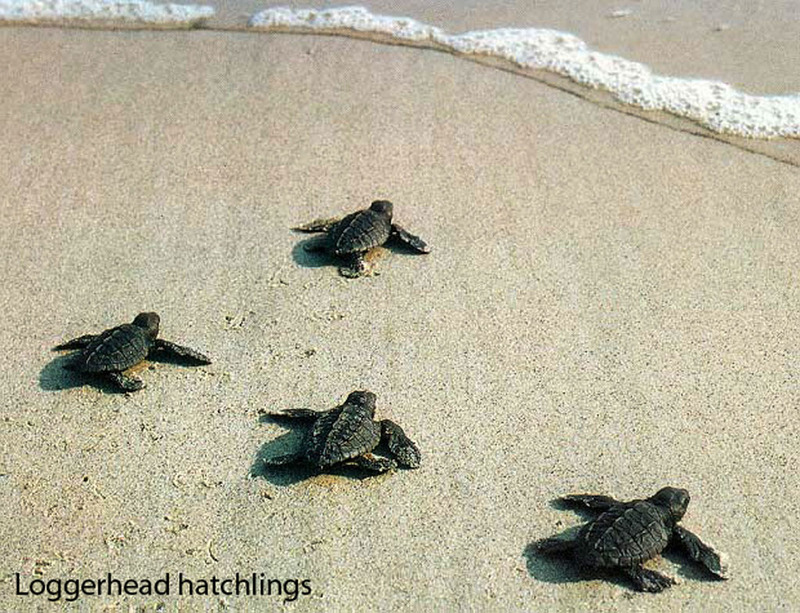 It is estimated that only one in every 1,000 turtle hatchlings survive to sexual maturity. Why are globally endangered great hammerhead sharks still being fished by locals?